128↓ Teyana Taylor - K.T.S.E. 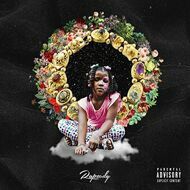 Laila's Wisdom is the second studio album by American rapper Rapsody, released on September 22, 2017, by Jamla Records and Roc Nation. It is Rapsody's first album released under her partnership with Roc Nation. The album features collaborations with Kendrick Lamar (who Rapsody previously worked with on Lamar's To Pimp a Butterfly), Anderson Paak, Busta Rhymes, Lance Skiiiwalker, Black Thought, BJ the Chicago Kid, and Musiq Soulchild, among others.